As a child, who knew the popular rhyme about beans being good for your heart was in fact, true. Apparently kidney beans have a multitude of health benefits and the white, cannellini beans, have been a part of my diet since childhood. Tricked by a mother into eating delicious meals that were nutritious and economical…well, my mom was always ahead of her time. 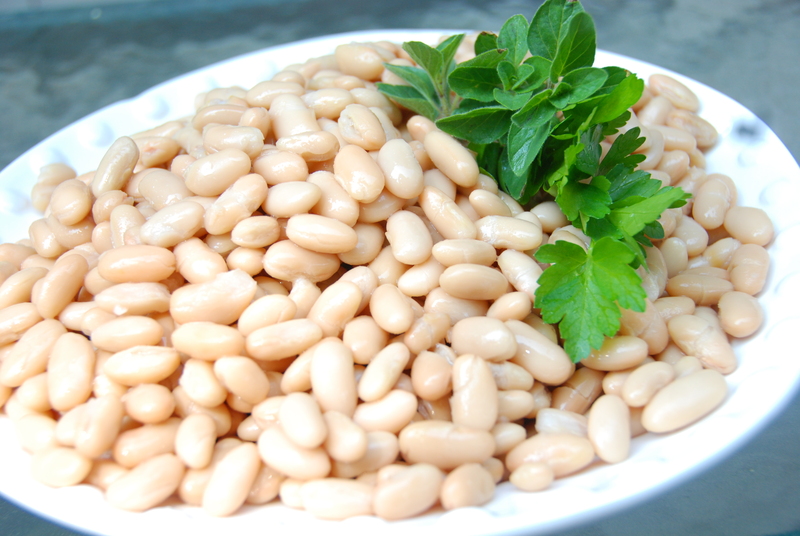 Cannellini beans are creamy and will absorb a variety of flavors and spices, making them perfect for a wide range of recipes, both hot and cold. There is a long list of dishes and these are three of my easy favorites. Another benefit is the canned beans are as good as cooking the dried beans, so opening a can of beans and adding a few ingredients is a quick meal. The dark red kidney beans are in the same league, but I usually reserve those for meals requiring a longer cooking time or simmering because they hold their shape. Red ones are delicious in all sorts of salads, too, but recipes for another time. A dish with as many different recipes as there are cooks and mine is a slight variation on my mother’s recipe. Although one of the simplest, it took me many attempts to achieve just the right flavors and consistency as in her dish…and still not quite as tasty. It probably has to do more with the emotional childhood, food and family connection that always makes her dishes remain the best…but that is a good thing. Attempts at additions or changes always return me to the original version…simple and satisfying. 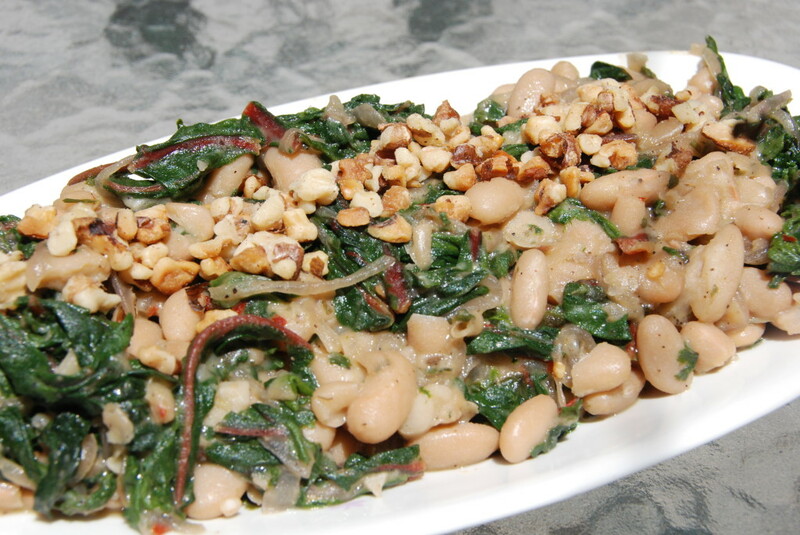 The texture of the cannellini beans and the addition of some grated cheese make this a creamy side dish. 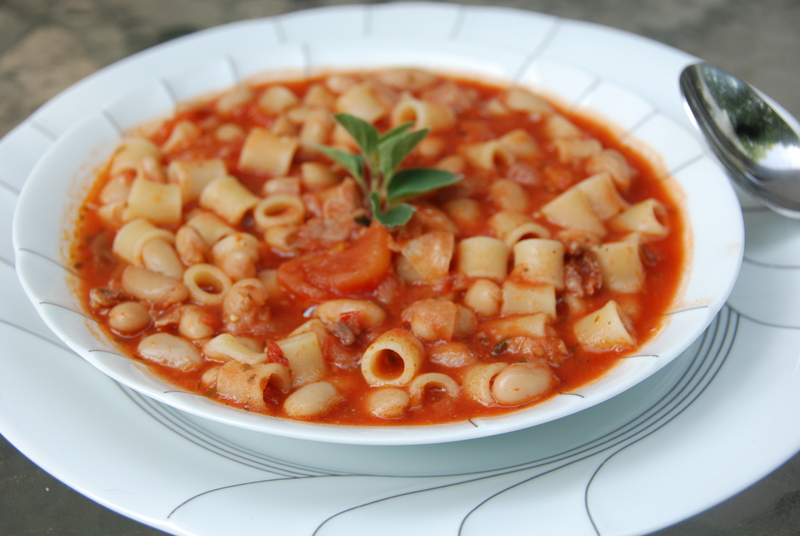 A prerequisite is that you like anchovies in order to enjoy this recipe. 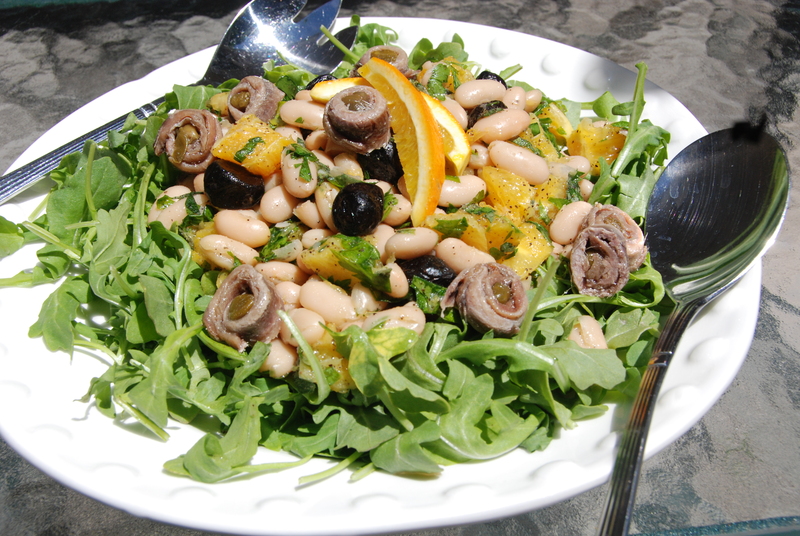 If made without the anchovies, then it is a green salad with beans. A substitution could be a can of tuna packed in olive oil, but then you are headed in the direction of a salad Niçoise.